You must book this service in advance. 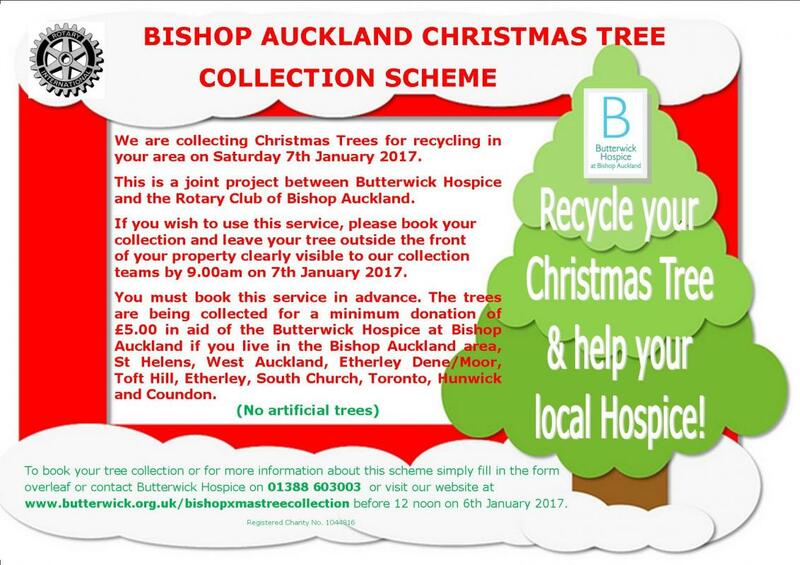 The trees are being collected for a minimum donation of £5.00 in aid of the Butterwick Hospice at Bishop Auckland. This is available opnly if you live ion Bishop Auckland, Tindale, St Helens, West Auckland, Spring Gardens, Etherley Dene, Etherley Moor, Toft Hill, Etherley, South Church and Coundon.